Tim Murtagh of Ireland also makes a unique world record! 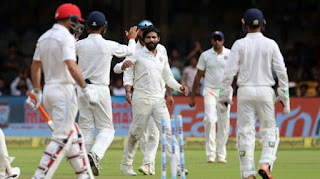 It was Afghanistan's second Test outing after making their debut last year when they lost to India inside two days in Bangalore. For Ireland, Tim Murtagh stood out with scores of 54 not out and 27 batting at number 11, making him the only number 11 batsman in the history of test cricket to score more than 25 runs in two innings of a test match. Q. Which country's cricket team claimed a historic first Test win on Monday as they beat Ireland by seven wickets?